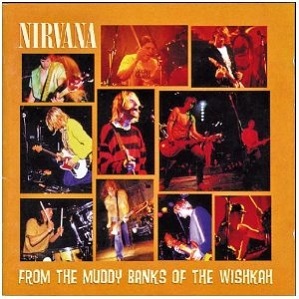 From The Muddy Banks Of The Wishkah is a live compilation album by Nirvana pulled together from concert recordings between 1989 and 1994. The Nirvana MTV Unplugged album had been a big success but it wasn’t the typical Nirvana sound. Love it or hate it? Leave a comment. Is this the best live album by Nirvana? What Are The Very Best Live Albums? Please vote in my poll to find the best indie and alternative rock live albums. Because this is such a big category and there are so many very good indie and alternative rock live albums, I have split the poll into two and you may find some of your favourites in the second division. Albums will be promoted when they get enough votes. Shed Seven Where Have You Been? I have also included Nirvana’s heavy pounding sound in the best heavy metal live album polls. This entry was posted in 1990s Live Albums, Heavy Metal Live Albums, Indie & Alternative Rock Live Albums and tagged 1990s hard rock, 1990s Indie, Nirvana Live Albums by Paul Simister. Bookmark the permalink.